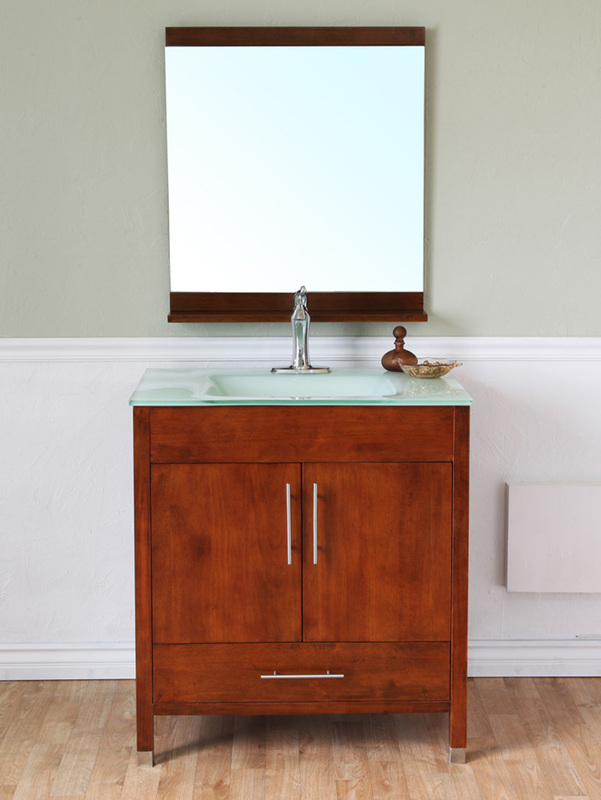 The Zamora Modern Vanity is hard to beat for its simple modern design blended with its warm walnut finish. 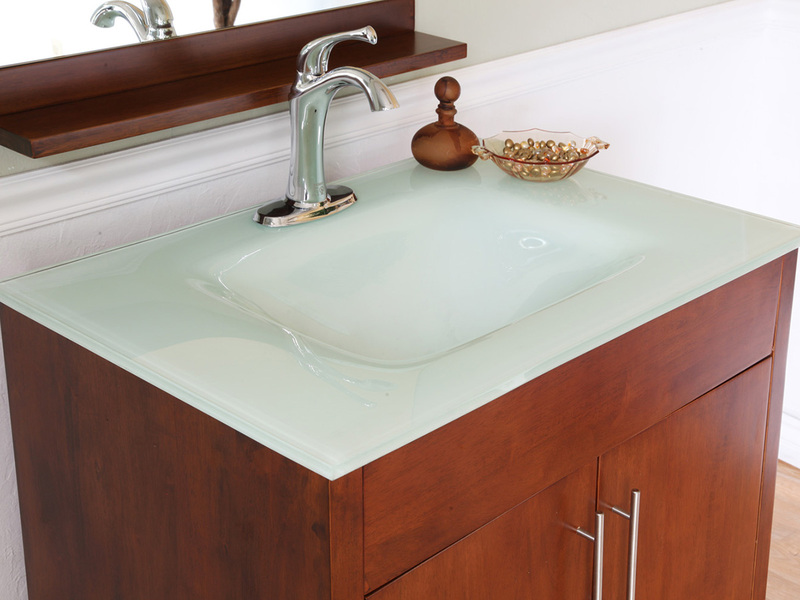 The green glass sink is integrated into the counter top, giving the vanity a low profile that enhances its modern appeel. 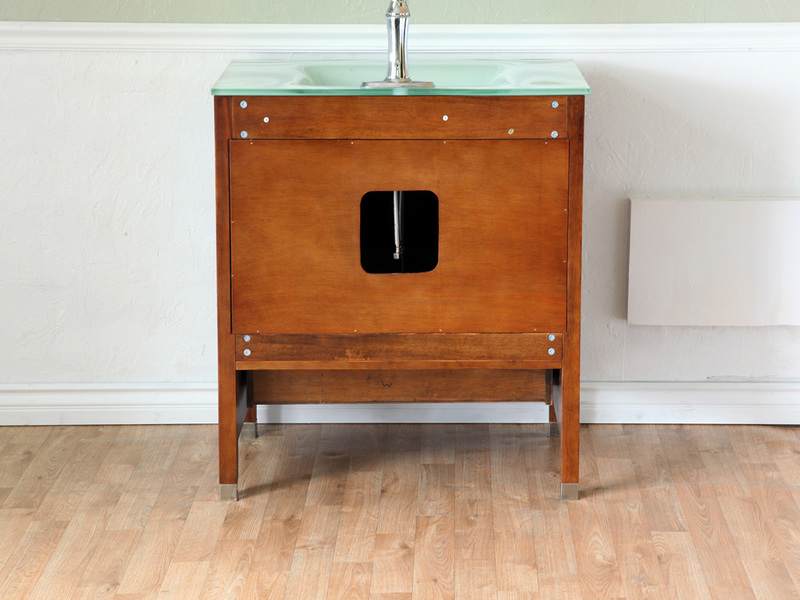 The cabinet is constructed from solid birch wood and has a water proof walnut finish for protection against humidity. 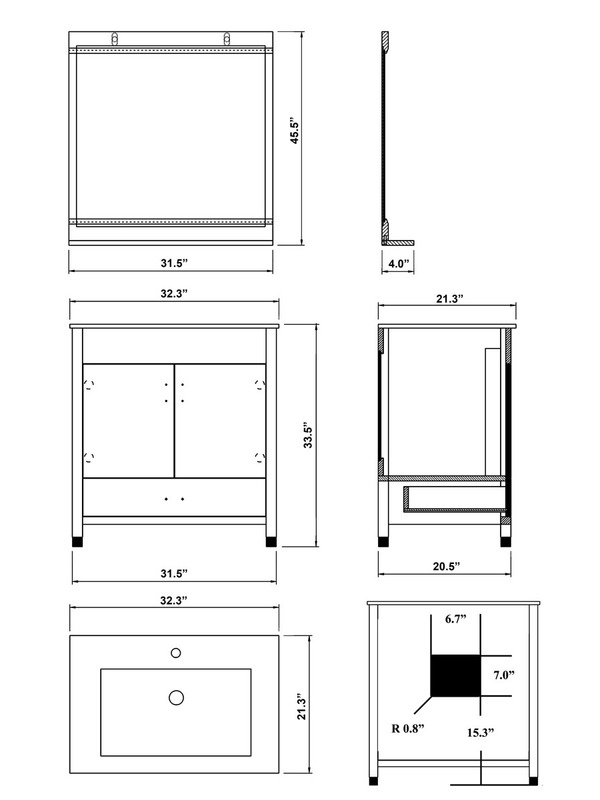 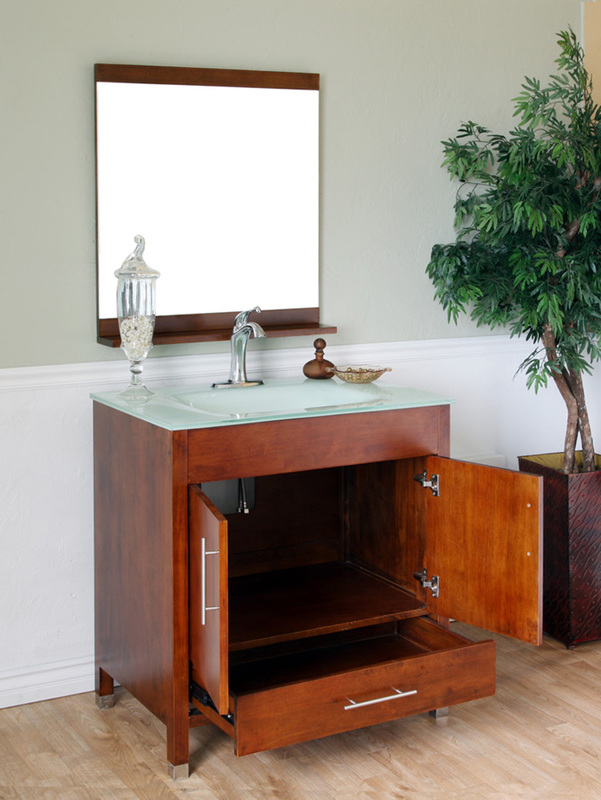 The vanity has a double door cabinet space and a pull out drawer, offering lots of storage for your bathroom accessories. 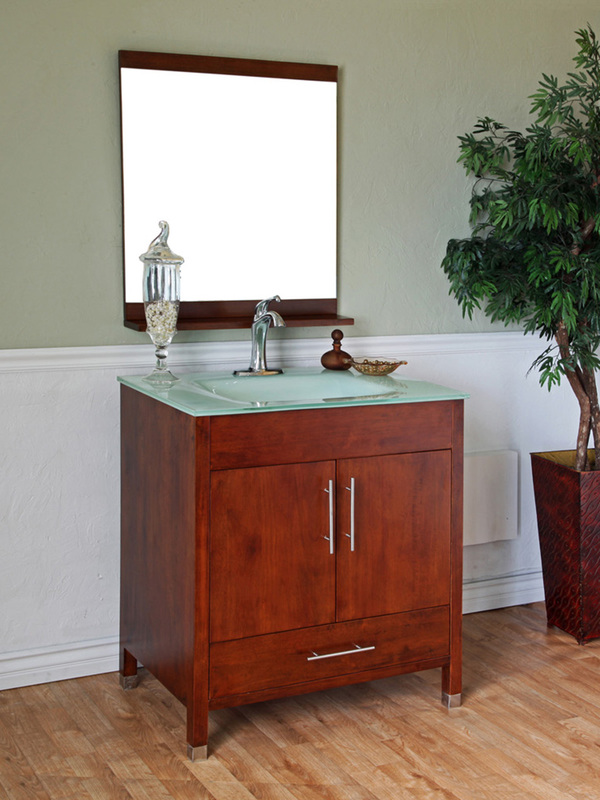 A matching mirror is available for this vanity to complete your bathroom's modern design.